Mont Saint Michel, Lower Normandy. Lower Normandy (Basse-Normandie in French) is one of France's 27 administrative regions and is the western half of historical Normandy. It was created in 1984 from the division of Normandy in two regions. With 1.4 million inhabitants, it is the least populated region in western France after Limousin. Covering 17,589 km² (6,791 sq mi), it is slightly larger than the US state of Connecticut. Lower Normandy is renowned for its green pastures, dairy farming, Camembert cheese, apple cider and Calvados brandy. The local cuisine makes use of fresh fish and seafood (mussels, scallops, oysters), voluptuous cream sauces and soft cheeses. Apple desserts (tarts, cakes) also feature prominently. 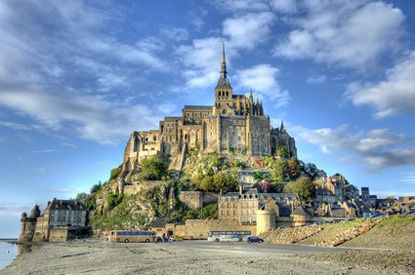 Travel highlights include the iconic Mont Saint-Michel, the most visited attraction in France outside the Parisian region, and the Bayeux Tapestry, an extraordinary piece of medieval embroidery depicting the Norman conquest of England. 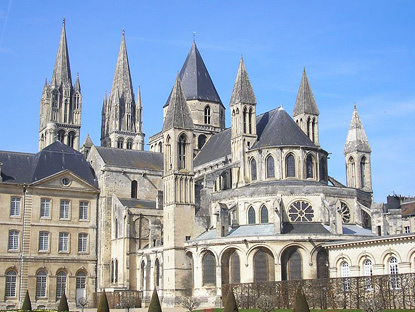 Although Rouen, in Upper Normandy, was the historical capital of the Duchy of Normandy, William the Conqueror was born at Falaise Castle, and is interred at the imposing Caen Cathedral, both in Lower Normandy. In the mid-19th century, Emperor Napoleon III turned Deauville and Trouville into seaside resorts for the international upper class. They have since become a sort of Norman Riviera, complete with marinas, a racecourse, a Grand Casino, plenty of luxury hotels, and an international film festival. On 6 June 1944, the beaches of Lower Normandy became the theatre of the largest amphibious military operations ever carried out. An army of over 150,000 American, British and Canadian troops landed on an 80 km (50-mile) stretch of coast between Cherbourg and Caen to regain control of Nazi-occupied Europe. Nearly 70 years later, the D-Day beaches of Utah, Omaha, Gold, Juno, and Sword still attract large number of visitors, especially from the former Allied countries. 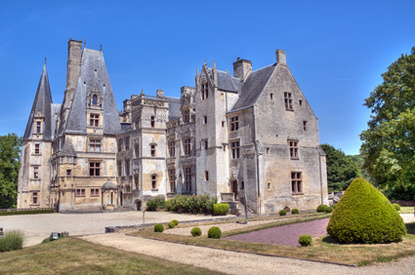 Famous people from Upper Normandy include (chronologically): the poet François de Malherbe, the gourmet food producer Auguste Fauchon, the writer André Breton, the fashion designer Christian Dior, the actor Jean Marais, and the TV presenter Michel Drucker. Caen is the capital of and largest city in Basse-Normandie. Its history is intertwined with William the Conqueror. 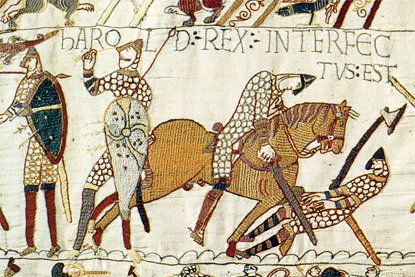 Founded by the Romans, destryoyed by the Vikings, Bayeux is famous for its tapestry depicting the events leading up to the Norman conquest of England. Fontaine-Henry has belonged to the same family for nearly a thousand years. The present castle was built in the 16th century and is one of the most splendid example of Renaissance architecture in northern France. 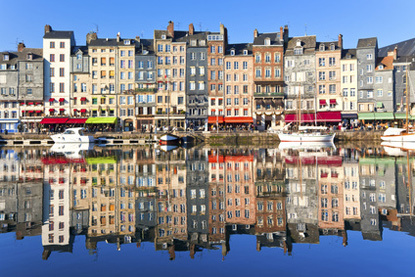 Honfleur is a colourful, picturesque little port popular with Impressionist painters like Monet, Courbet and Boudin. 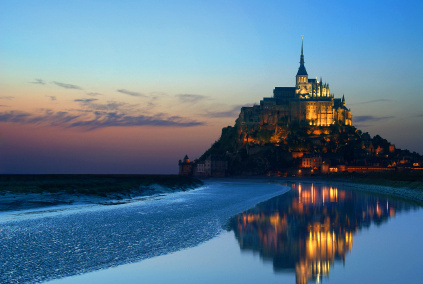 One of France's most iconic sights, Mont-Saint-Michel is the most visited attraction outside Paris. 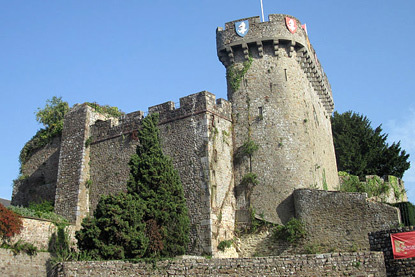 Avranches is the nearest town from Mont Saint Michel. 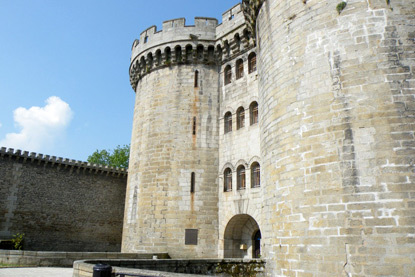 Its museum houses one of the largest collections of medieval illuminated manuscripts in France. 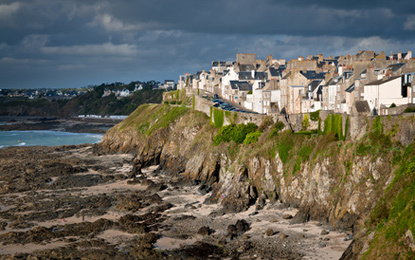 A picturesque fishing town close to Mont-Saint-Michel and with ferry link to Jersey. A fortified town, home to the lofty castle of the Dukes of Alençon, a title awarded to a younger brother of the kings of France.